Of course you have goodwill! You’re a nice person right? You do good things. Still, there’s that stuff in your garage. The stuff you’ll never use. The stuff just sitting there. The stuff which could be … used … by … someone … else. Well, there’s another type of Goodwill which can help. Maybe you can drop it off at one of the many Goodwill outlets in your neighborhood. 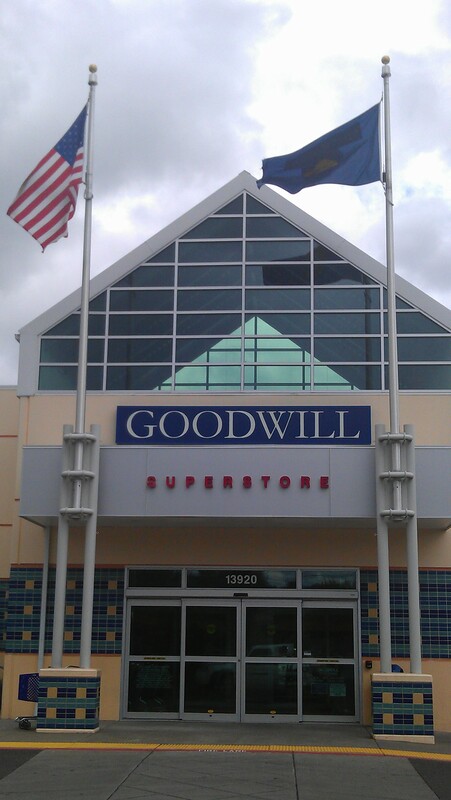 Todays gift of time … Took a load of children’s clothes to Goodwill. I hope that they will soon find another home. This entry was posted in In the community and tagged Goodwill. Bookmark the permalink. 2 Responses to Do You Have Goodwill?